Two of the industry's leading tool brands to merge in a $4.5bn (£2.7bn) all-share deal in the US. Under the terms of the deal, Stanely shareholders will be the majority shareholders, owning 50.5% of the equity of the combined company, while Black & Decker shareholders will own approximately 49.5%. 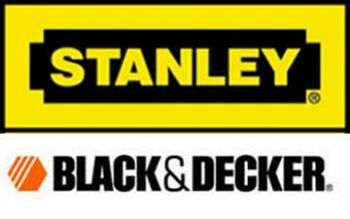 Stanley, based in New Britain, Connecticut, will pay a 22.1% premium to purchase Black & Decker - a household name in power tools and accessories, with brands such as DeWalt, Black & Decker and Kwikset. Black & Decker chairman, president and chief executive Nolan D. Archibald admitted that the main driving force for the merger, was a huge cost cutting exercise to shed £350m. The move could result in significant job losses at the two American companies, which employ around 40,000 people. He explained: "While we are pleased with the initial premium of approximately 22%, the driving motivation of the transaction is the present value of the $350 million in annual cost synergies and the combined financial strength and product offerings of the merged companies." It is hoped the deal will close in the first half of next year, creating a global firm worth $8,4bn. The nine members of the current Stanley board will be joined by six new members from Black & Decker's board of directors. Stanley chairman and ceo John F. Lundgren will be president and ceo of the combined company, while Mr Archibald, who has been ceo of Black & Decker for 24 years, will be executive chairman of the merged business for three years. Mr Lundgren said of the move: "This is a unique opportunity to bring together two grea companies, each with first-rate brands, and provide enhanced opportunities to generate superior returns as we build on this new, larger platform... The transaction is expected to create tremendous value for shareholders of both companies through the realization of significant cost synergies, operating margin expansion and enhanced growth opportunities." The combined company will retain a presence in both Maryland, where Black & Decker is currently base, and Connecticut, with its corporate headquarters in New Britain. Stanley Works, which was founded in 1843, is famous for its hand tools and construction brands, including Stanley, FatMax, Bostitch, Mac Tools and Proto. They are both good companies with strong brands and if it means that they survive in these difficult times then the merger should be seen as a positive. To some extent having the Black and Decker brand in the same stable as DeWalt has held the latter back as a professional brand.